Neighborhood Parcel has over a decade of experience in International Shipping, Packaging and Freight forwarding services. 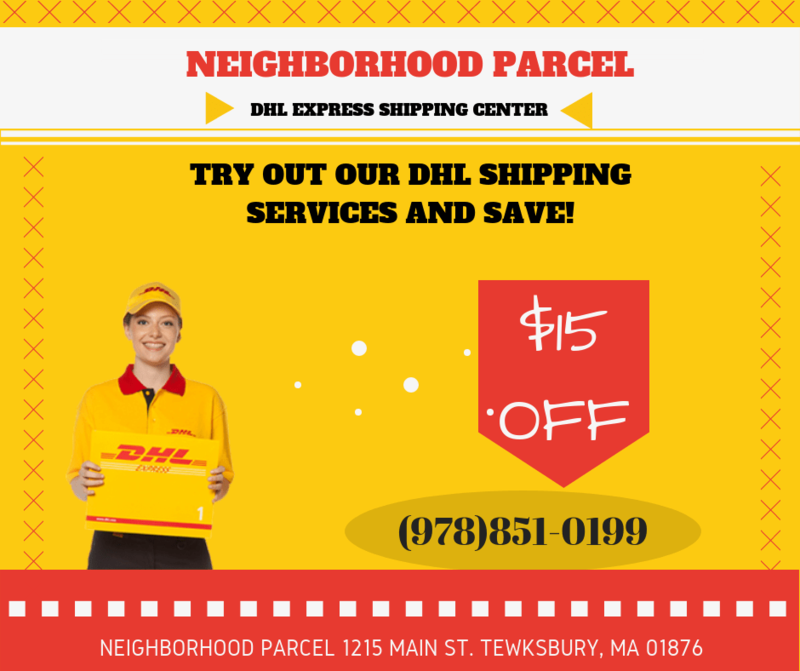 It is the leading DHL, FedEx, and UPS international shipping center for Tewksbury, Dracut, Methuen, Boston, Andover, Lawrence, Billerica, Lowell and Haverhill MA since 2007. Holiday Shipping Season Is Open! This Holiday Season, don’t procrastinate! Ship your Holiday Gifts early and save! Neighborhood Parcel can help you get your holiday gifts packaged and shipped via your choice of FedEx, UPS, U.S Post Office or DHL. We have over a decade in helping area residents from Billerica, Dracut, Methuen, Andover, Lawrence, Lowell, Tewksbury, Wilmington MA with all their domestic and international shipping service needs. Unlike the FedEx Office and The UPS stores, we pay no royalty or Franchise fees, we pass the savings to our customers.